Liberty Baptist Church has merged with Madera Baptist Church. Please continue to pray for us as we reach Madera effectively together. Click here to visit our church website. We are now in Madera. Here is our new contact information. ﻿﻿﻿﻿In a world that is constantly changing it is easy as Christians to see how far the United States of America has strayed away from our Christian heritage. Much of our country was founded upon Biblical principles and its people understood morals. As the United States has strayed away from the teachings of God's Word we have seen a moral decay within our nation. The question is how far will we go before God removes His hand of blessing off of our Country? The next question is will Christians raise up together in the day in which we live and fight against the moral depravity that we see in our nation? We can do this not by debating politics but by sharing the love of Jesus Christ and the Salvation offered to every man, women, and child. If we want to change America we must reach the hearts and minds of it's people with the teachings of God's Word. This is done through the local church. City after city in America needs a church that will stand up and preach the gospel, teach Biblical principles for godly living and separation, and train others to reach people. Click here to see more about the need for California. 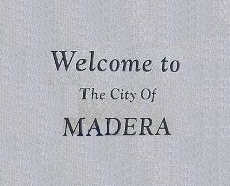 The city of Madera is located in the center of the state of California. It has a population of almost 62,000 people and no church actively reaching these people with the truths of God's Word. This city is located about 25 minutes from the much larger city of Fresno. There is great growth potential in Madera in terms of population but even greater spiritually. Being able to start a good Independent Fundamental Baptist church that shares the love of Christ and reaches souls with the truth of salvation can truly change this city. It is our goal and burden to 1) Raise up the needed support to get there. 2) Lead people to Christ and help develop and teach them more about God's Word. 3) Start a Biblical church that is self-supporting and thriving. 4) Start and/or help start more churches throughout the central valley of California.